This Report provides an update on recovery and mitigation activities related to Hurricane Harvey as well as the flooding events experienced by the County in 2016. New or updated information from previous reports is italicized. On October 23, 2018, Fort Bend County was awarded the American Cancer Society’s Workplace Health Assessment Wellness Champion Award for providing excellent wellness opportunities for its employees. Fort Bend County received second place in the greater Houston area for providing wellness services such as nicotine cessation programs, exercise programs, wellness classes, and multiple health screenings. Also included in these benefits is an employee health clinic providing basic medical care to all that work at the County. Fort Bend County Risk Management has been a partner of the American Cancer Society for many years by serving on the ACS Wellness Committee and being an integral part of planning and executing the Annual Houston Corporate Wellness Forum each fall. Each year at this forum, the American Cancer Society awards top preforming companies in the Workplace Health Assessment. 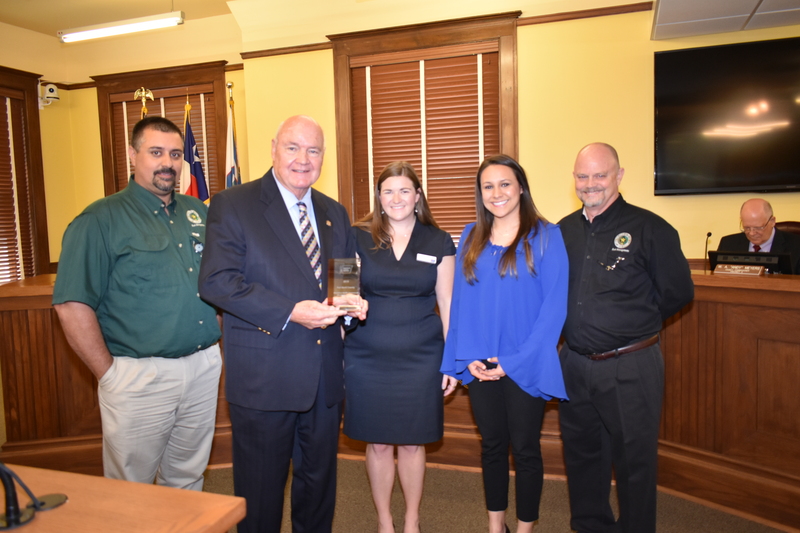 This award represents Fort Bend County’s commitment to building a culture of health and wellness within their employee base and their community. The Workplace Health Assessment Tool is a free service through the American Cancer Society that provides companies with customized recommendations based on a 60-question survey. The survey, conducted by Society staff, evaluates benefit design, policy, programs, tracking and communication. Companies then receive a customized, action-based report measuring their offerings against national best practices and benchmarks surrounding tobacco control, cancer screening, healthy eating, physical activity and cancer care. Companies then work with Society staff to design and implement their action plan throughout the year. For more information, please visit the Fort Bend County Risk Management website at: www.fortbendcountytx.gov, and select Risk Management under the Government tab. Fort Bend County Animal Services has exceeded a 90% save rate for both dogs and cats in August and September, a large step toward its goal of becoming a recognized rescue center for companion animals. The save rate for dogs reached 90% in late 2016. This year, with the inclusion of a pilot TNR (Trap-Neuter-Return) program in Richmond and Needville, Animal Services has been able to save more cats enabling the shelter to achieve the save rate benchmark. Fort Bend County Animal Services has established programs, policies and procedures that give healthy and treatable pets a chance to find a loving home through adoption, rescue or foster. In the last few years, Commissioners Court has provided budget support for expansion of staff and the current expansion of the animal services facility, scheduled for completion in early 2019. This success rate was achieved by expanding staff and employing a licensed veterinarian and veterinary technician. Also contributing to the achievement were outreach efforts to nationally recognized rescue organizations for advice and training, collaborations with the community to hold over 50 adoption events a year, and the continued support of many local volunteers and more than 160 community organizations such as S.O.C.A. (Saving Our Companion Animals), San Antonio Pets Alive, and Austin Pets Alive. 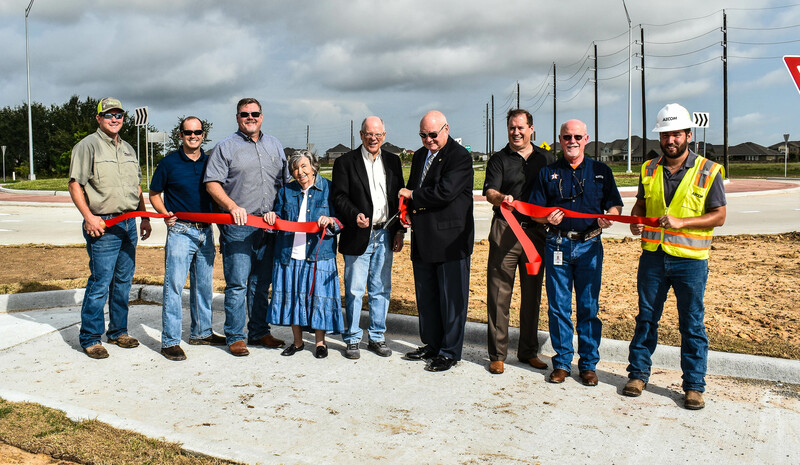 On September 7, 2018, Fort Bend County officials gathered in Precinct 3 for a ribbon-cutting ceremony to mark the completion of the Spring Green Boulevard Roundabout, the first two-lane roundabout constructed by Fort Bend County. The new roundabout, located at the intersection of Spring Green Boulevard and Katy Flewellen Road, connects Spring Green Boulevard, Katy Flewellen Road and Cinco Trace Drive. Part of the project also included realigning Crossover Road to intersect north of the roundabout. The total project cost is $4.4 million funded by bonds from the 2013 Mobility Program as well as contributions from Newland Homes. 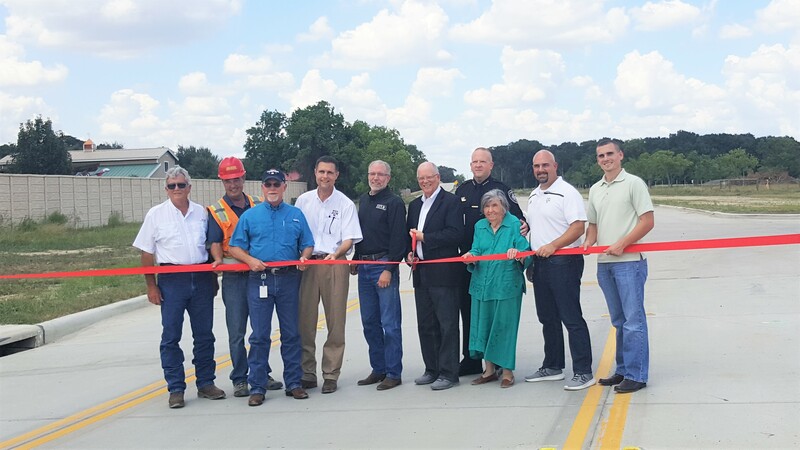 Fort Bend County officials gathered in Precinct 3 on August 31, 2018 for a ribbon-cutting ceremony to celebrate the completion of Phase 1 of the Cane Island Parkway improvement project. Phase 1 of the project covers the section of Cane Island Parkway between I-10 and FM 1463. The Parkway consists of two concrete lanes in each direction and is part of the Mobility Project 13306; which also included the construction of a new bridge and channel improvements to reduce flooding. 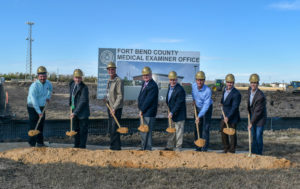 The 4,100 foot-long project provides a new connection from FM 1463 to the overpass at I-10. The total project cost for Phase 1 is $8.3 million with the City of Katy and Ventana Development contributing to the construction costs.